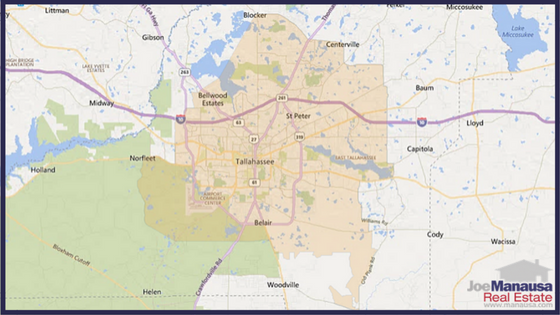 Are you somebody who has decent credit but very little cash, and you want to buy a home in Tallahassee? In the old days, there were many ways to solve this problem. During the housing boom, you would have plenty of options when it came to financing a home, but today, no money down programs are few and far between, so the cash-strapped homebuyer needs to explore all the options. Recently, Robert Barnette of Hancock Bank, came and met with our office to discuss different loan programs and trends in the mortgage industry in Tallahassee. He addressed buying homes that need rehabilitation (How To Buy A Home That Needs Repairs) and he discussed the USDA Rural Development Loan. As we previously covered the former, today's real estate blog will focus on the latter. As you might suspect from its title, the rural development loan is not available in all areas. The purpose of the loan is to provide home purchasing assistance in rural areas, and you can read all about it on the USDA website. Instead of going through hundreds of pages on its website, we have provided a summary of what you need to know and a map of areas included in the USDA Rural Development Loan program for Tallahassee and Leon County, Florida. There are two areas of qualification review that must be done to find out if a homebuyer in the Tallahassee area can get a USDA Rural Development Loan. First of all, the buyer must have the financial qualifications for the loan, and secondly, the property must also qualify for the buyer to take advantage of this government sponsored no-money-down loan program. Borrower Eligibility - The USDA Rural Development Loan program is for people with household incomes below $74,050 ($97,750 for households with 5 or more people). If a homebuyer has a credit score below 640, the lender might be able to push the loan through providing the borrower has strong compensating factors. If the borrower's credit score exceeds 640, then credit scoring will not be an issue. The buyer must also qualify with debt ratios that are similar to other loan programs and he or she does not have to be a first time homebuyer. The buyer cannot own another home in the Tallahassee MSA, and the home needs to be purchased for occupancy (cannot use the USDA Rural Development Loan for purchasing investment property). Property Eligibility - The buyer must choose to purchase a single family detached home or an approved condominium, as mobile homes, duplexes and farms are excluded from the USDA Rural Development Loan. To verify whether or not the property is in an approved area, just use the map below to ensure that it falls within an eligible area. This overview of the USDA Rural Development Loan for the Tallahassee MSA is just an overview, and borrowers should speak with a mortgage expert to determine whether or not they qualify for the loan. How is "income" defined? Adjusted gross income? Total gross income? Total net (after tax) income?